Hello! I thought I'd share some blog goodies with you! I found some new blogs!! I'll be posting a few every couple of days!! These blogs are "Blogalicious"!!!!!!!! They are a MUST to visit!! 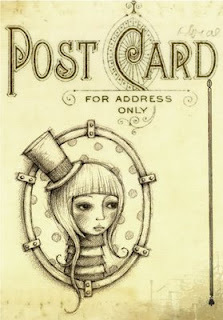 Pay a visit to: http://suzifiner.blogspot.com Such a fun blog! Talk about mouthwatering displays! http://www.junk2jewels.typepad.com Creativity abounds! I'll be adding more!!!! Hope you enjoy them all! I know I sure do!!!!! Thanks for the great blog sites, I will check them all out! Don't forget to get into my give-away OWOH I have three faeries that need good homes! Gorgeous finds LoLa!! Thanks so much for sharing them! Popping in to say hello & FUN blog finds Carrie! You sure know how to find the great blogs! I seem to get lost and forget where I started the whole thing. It's like that Calgon commercial...take me away!